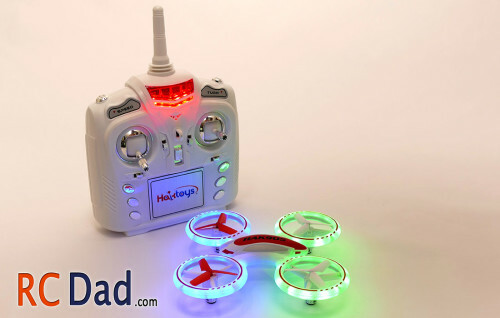 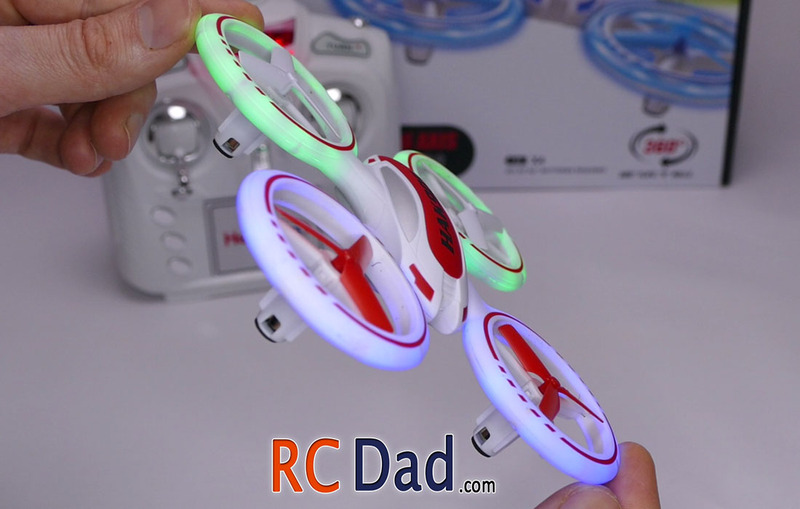 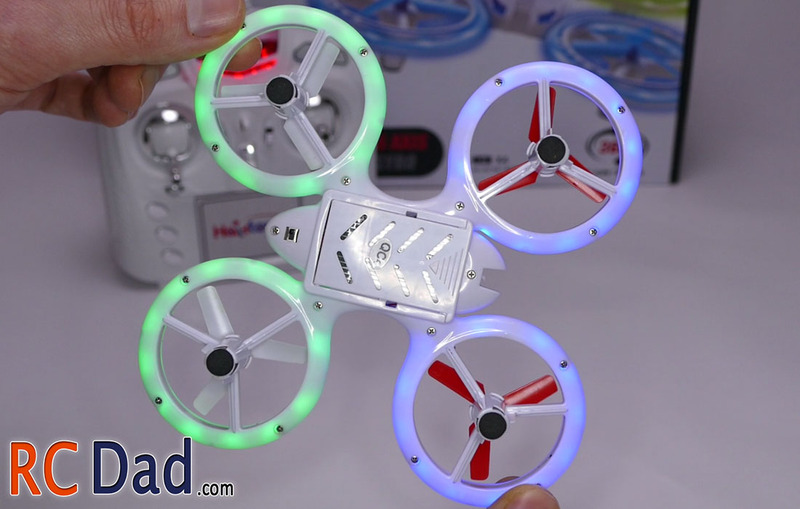 The Haktoys HAK905 is a well-protected beginner’s RC quadcopter with LED light rings built into its frame. 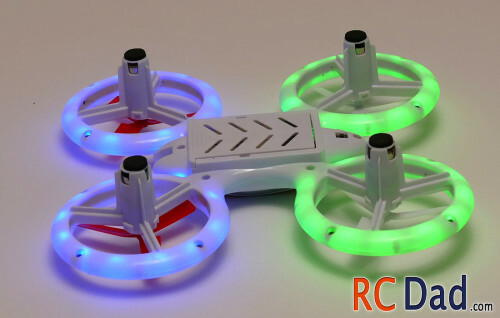 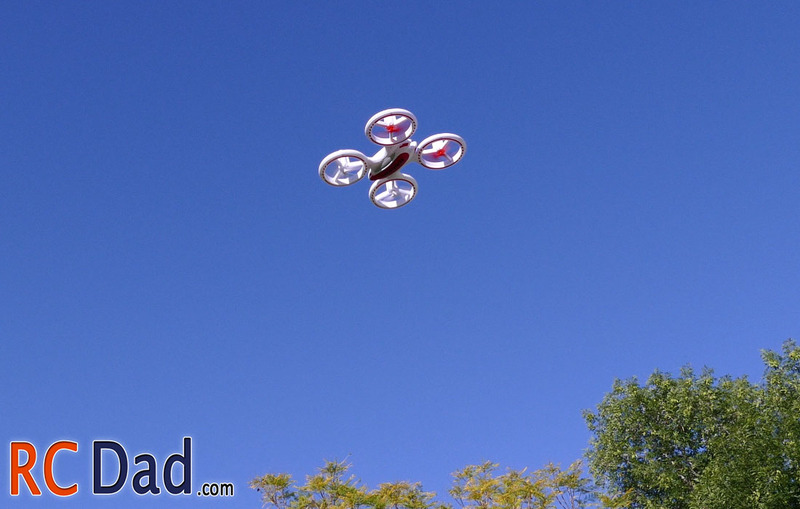 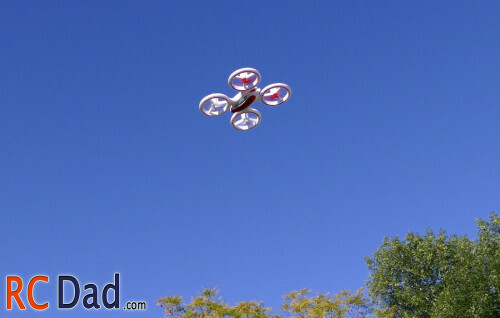 The effect is a cool looking, easy to see toy quadcopter that can be flown inside and outside during the day or night! It has 3 speed settings. At its lowest, this quad feels very stable and beginners will really like the way it handles over other faster quadcopters. 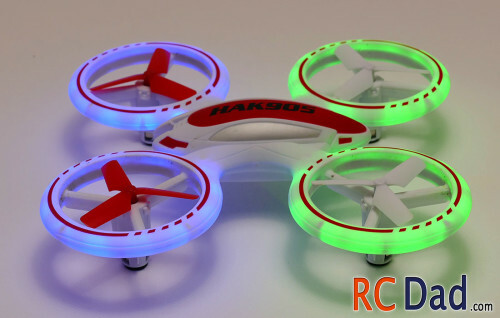 Flight times are good for this sized quad, at around 8 minutes and the battery is removable! 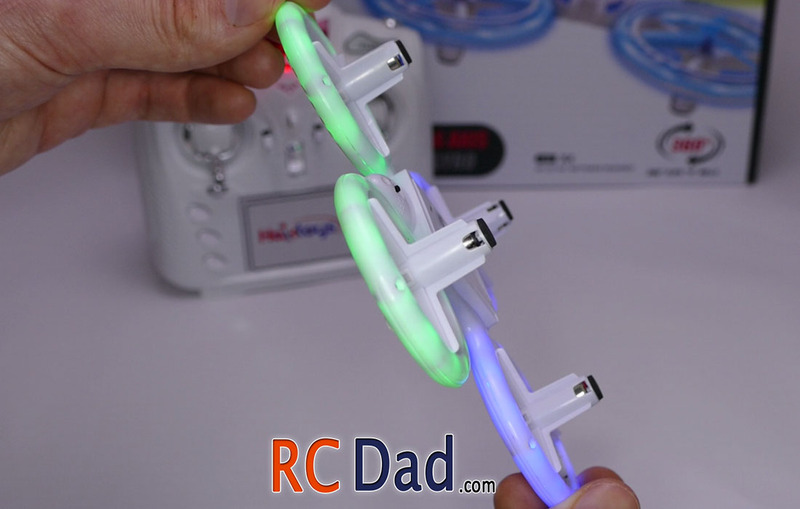 The blades are very well protected thanks to the ducted fan style frame. 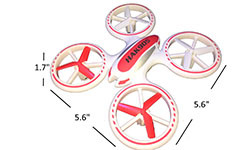 This not only protects the blades but also prevents damage to things you come in contact with!